Reports of tracer bullets and explosions over the Libyan capital have sparked rumors of the imminent defeat of Colonel Gaddafi and his regime. However, it transpired that most of these shots were fired by victorious Gaddafi loyalists. On Saturday evening, rounds were fired close to a hotel hosting foreign journalists. Explosions were also heard in the area as NATO aircraft carried out heavy bombing runs after nightfall, the Associated Press reported. 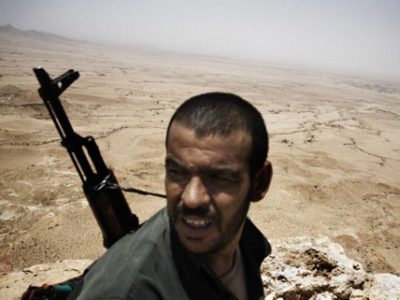 Rebels were reported to be fighting in the city's Tajoura neighbourhood, as well as near Tripoli’s international airport. 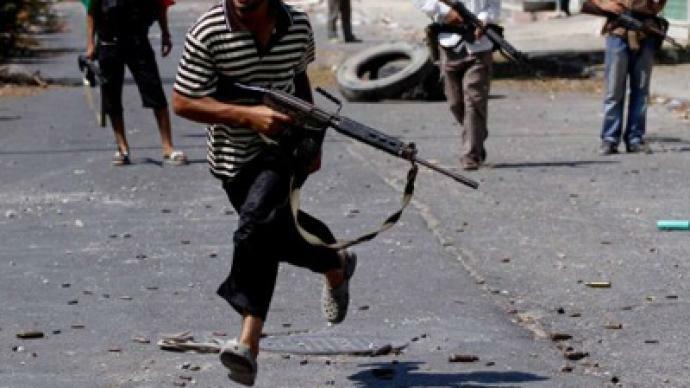 There have been reports that fighting also broke out in the neighborhoods of Soug Jomaa and Arada in the east. The NATO-backed rebels in Libya claimed that a battle for the capital Tripoli could unfold by the end of the month, as they have now taken control of key cities around the Gaddafi stronghold. However, all these reports have proven false. The director of Americans for Middle East Peace, Dr Franklin Lamb, who is in Tripoli right now, informed RT that reports of the rebels having entered Tripoli are nonsense, though sporadic gunfire is indeed being heard from time to time. According to Dr Lamb, the real danger is posed by NATO planes that drop bombs and fire missiles at the city hourly. In an audio tape aired on state TV, Colonel Gaddafi congratulated his supporters. Independent journalist Lizzie Phelan says the reports are an effort by NATO to create panic. 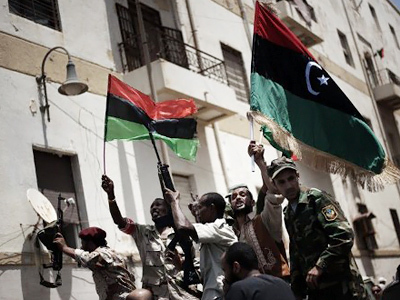 Phelan said that the Libyan rebels created fake footage of themselves in Zawiya and Tripoli, and were aided in disseminating the footage by, among other media outlets, Al Jazeera. 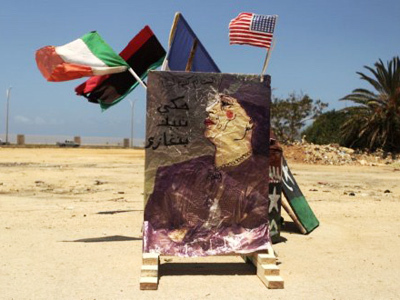 The Qatar-based satellite television station, she argued, has been at the center of the media conspiracy against Libya. The Western mainstream media, she continued, in turn picked up these reports and repeated them, creating a sense of panic among the Libyan people. 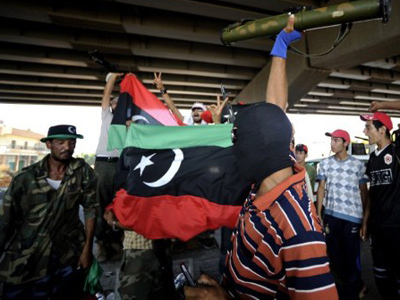 Many people in Tripoli have been armed by the government and these people came out to defend their capital, she added. Over the last few months, Tripoli residents have heard many claims of a rebel advance on the capital. But NATO air strikes remain the only reality for them, says Phelan. Reports suggested some shooting overnight in Libya’s capital. Phelan referred to few rebel snipers having penetrated the city and taken up position in several buildings. The snipers aimed at the pro-Gaddafi rally that had started earlier in the evening. But their main aim seemed to sow panic rather than injure or kill. However, they were dealt with by the police quickly enough, said the journalist. Political analyst Mahdi Nazemroaya says that the gunfire in the Libyan capital is sporadic and disorganized, and that its main purpose is to break down the morale of the population. 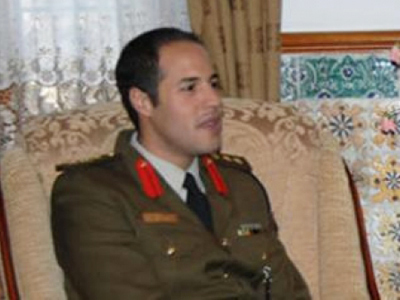 "Gaddafi son death" false report a smokescreen?